Since the publication of Dynamics NAV 2017, the NAV environment has been comprehensively expandable with additional modules or extensions. Partner solutions will also be made more and more available as extensions in future. 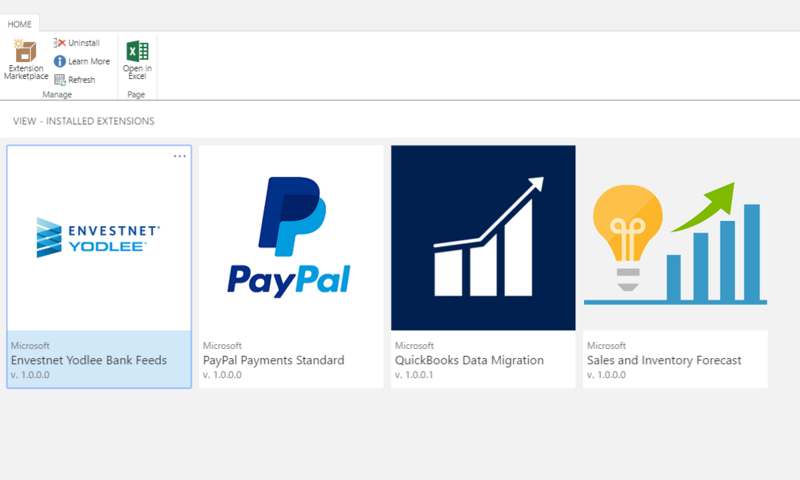 The extensions “PayPal Payments Standard” and “Sales and Inventory Forecast” are already included in Dynamics NAV 2017. The former can insert a PayPal payment link into the invoice document and the latter uses Cortana Intelligence for the targeted analysis of corporate data as well as for the subsequent creation of meaningful forecasts – calculated by means of p0werful machine learning. In Dynamics 365 for Financials, further modules can be installed directly via Microsoft AppSource. For Dynamics NAV, partners have the possibility to make the solutions available as a NAVX package to be installed locally. As an additional layer, extensions contain all object changes, new objects and rights and can also include .NET add-ins and initial data, for example for set-up tables. This layer can be installed and activated without restarting the service tier. The service tier changes all relevant SQL tables upon activation and shows the extensions to the user. The objective is to simplify the entire update process. The basic system can be updated and the extension layer is automatically also updated by the service tier. You can always stay up-to-date without dispensing individualisations, as long as the basic system maintains all references for the additional layer. The enlargements of extensions are available in the developer environment both in the debugger and in the code coverage. It is also possible to remove extensions again residue-free. Thereby, all additional fields and table data will be removed.